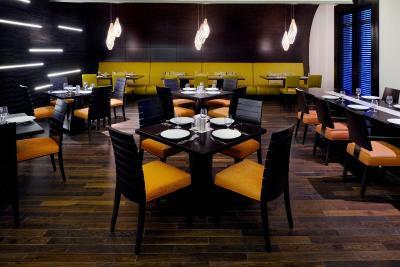 Lock in a great price for Marriott Hotel Al Jaddaf Dubai – rated 8.4 by recent guests! Excellent staff & service. Very polite and friendly. The staff is well trained, customer service is outstanding. Luisa Maria and Adebayo Ojo were above the rest. Very clean and dining room customer service experience. Javed and Dinesh were awesome. Made us feel home. The stuff is too disturbing us. The phone is keep calling from the services to check how is the stay! The AC is too hot. 1. Central location to all main attractions specially at peak hours. 10 minutes to Dubai Mall, 25 minutes to Global Village and IMG, 25 minutes to Mall of Emirates, 30 minutes to Dubai Intl Airport, 45 minutes to Dubai Parks. 2. Impressive customer service and an outstanding receptionists specially to Mr. John. Always addressed our requests swiftly and exceeded the expectations. 3. Didn't try the breakfast at the restaurant, but based on the room service food which is by far the tastiest room service among hotels, this should give you a hint that the restaurant food not to he missed. 4. Parking valet is a plus where you should never worry about parking. 5. 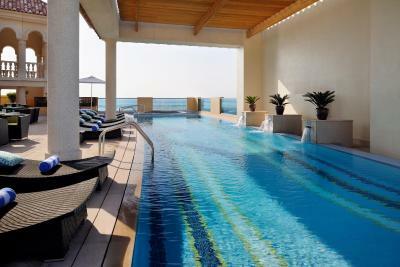 Shuttles to Dubai Mall and Kite beach. The best place I stayed ever, the most thing make the place is you first choice is the staff very friendly and very helpful. They made my wife birthday the most amazing day and made my kids happy very clean room very nice restaurant very good service. What ever i write i cant give all what they deserve. Thanks to all staff you made my day . 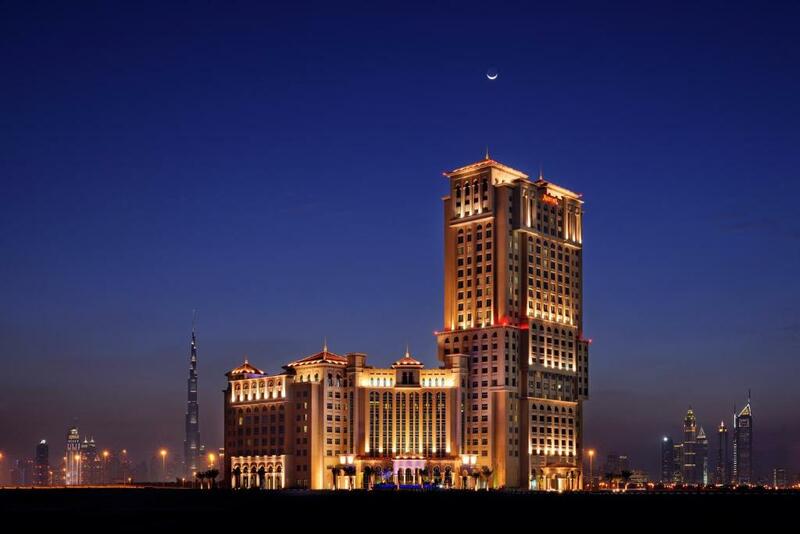 Marriott Hotel Al Jaddaf Dubai This rating is a reflection of how the property compares to the industry standard when it comes to price, facilities and services available. It's based on a self-evaluation by the property. Use this rating to help choose your stay! 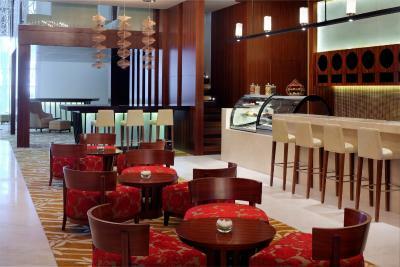 Located 5 minutes’ drive from Dubai International Financial Center (DIFC), Dubai Marriott Hotel Al Jaddaf offers modern accommodations along with free Wi-Fi in public areas. There is an outdoor pool, a gym and a hot tub. 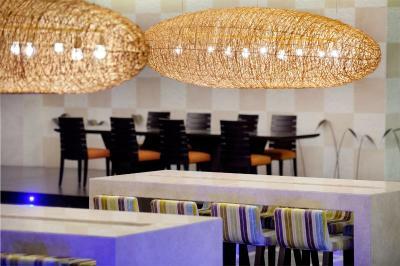 Decorated in warm colors, accommodations here provide a flat-screen TV and air conditioning. Featuring a shower, private bathrooms also come with a bath. Extras include a safety deposit box. 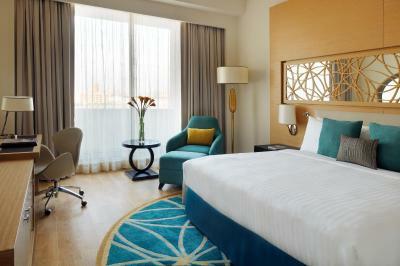 Suites have a living room, and some rooms offer the skyline view of Dubai. 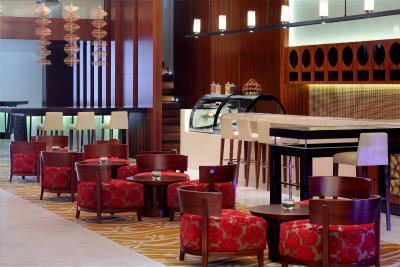 Dubai Marriott Hotel Al Jaddaf is 10 minutes’ drive from The Dubai Mall and Dubai Downtown. 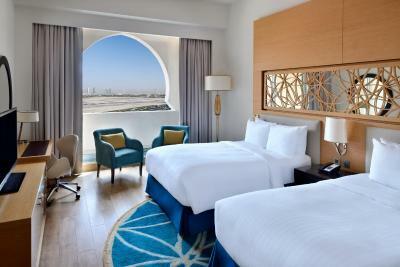 Dubai International Airport is 3.7 mi away.Free private parking is available on site. 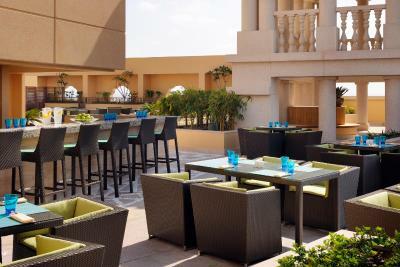 When would you like to stay at Marriott Hotel Al Jaddaf Dubai? 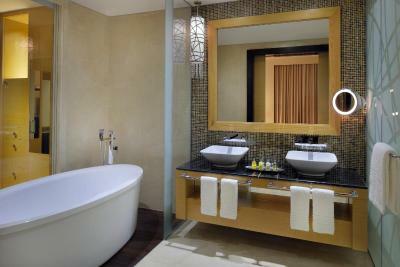 This room features a flat-screen TV and a private bathroom with a bathtub and shower. 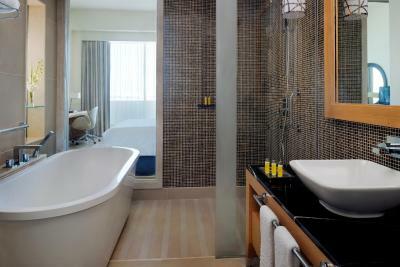 Including views of the city, this room features a flat-screen TV and a private bathroom with a bathtub and shower. 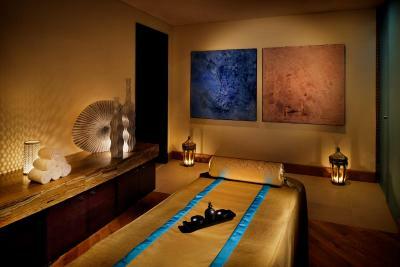 This room features a flat-screen TV and a private bathroom with a bath and shower. This room comes with a free WiFi. 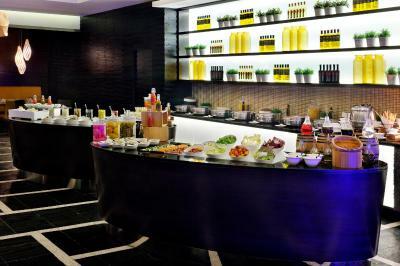 It includes Continental breakfast daily at Executive Lounge, snacks daily, cocktails daily at Executive Lounge. Including views of the city, this room features a flat-screen TV and a private bathroom with a bath and shower. 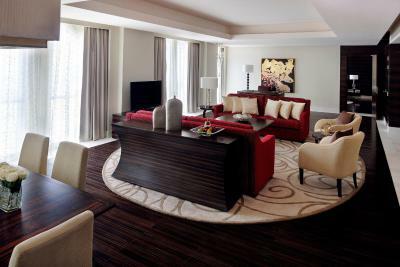 This suite features a separate bedroom and a living room with a flat-screen TV. The private bathroom is fitted with a bath and shower. 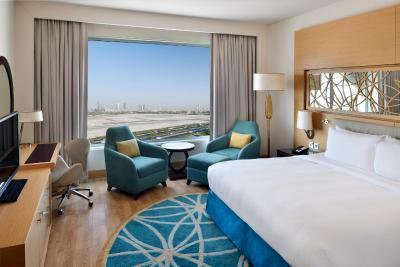 This rooms comes with a Free 2-way Airport Transportation to and from Dubai International Airport, to avail this free service please contact the hotel after making the booking. 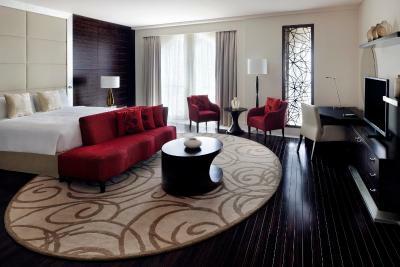 This spacious suite features a separate bedroom and a living room with a flat-screen TV. The private bathroom is fitted with a bath and shower. 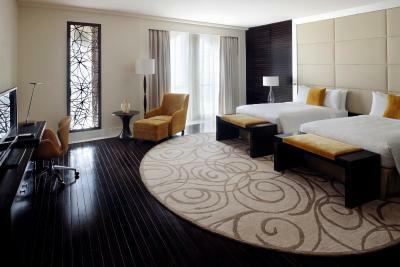 This extra spacious suite features free Wi-Fi. It also has 2 bedrooms, a dining area and a living room with a flat-screen TV. 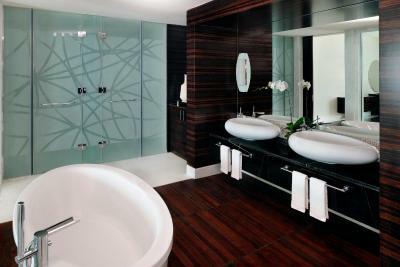 Each of the 3 private bathrooms is fitted with a bath and shower. 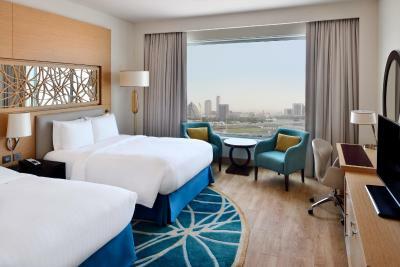 Set in the prime location of the Arabian Peninsula, Dubai Marriott Hotel Al Jaddaf takes hospitality to a new level when it comes to technology, comfort and style. 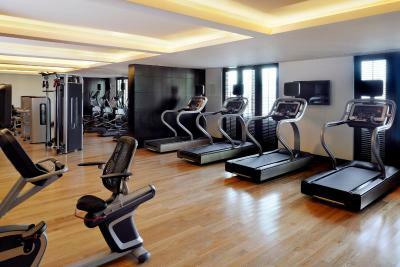 Combining business and leisure, the hotel is a brilliant host that caters to every need. 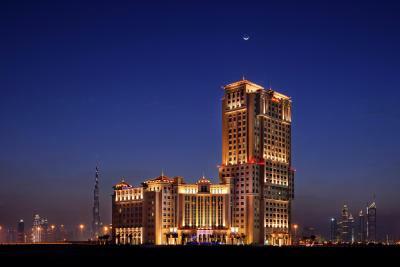 WiFi is available in the hotel rooms and costs AED 100 per 24 hours. 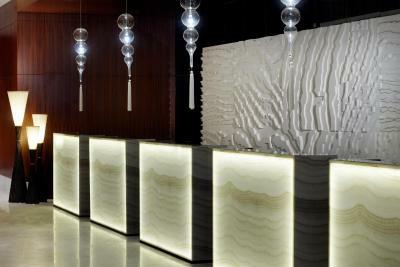 House Rules Marriott Hotel Al Jaddaf Dubai takes special requests – add in the next step! 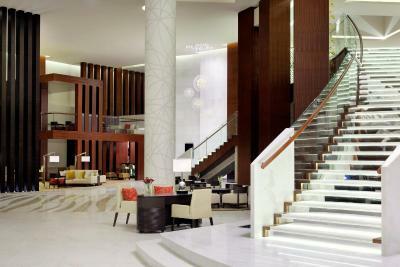 Marriott Hotel Al Jaddaf Dubai accepts these cards and reserves the right to temporarily hold an amount prior to arrival. Please note that there is an additional 20 AED destination fee per bedroom per unit per night payable at the hotel directly. Super friendly staff, excellent breakfast, perfectly comfortable and big bed! 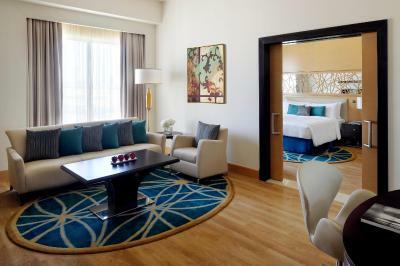 Quick and easy access to airport (8min) and Dubai Mall (10min). My wife forgot her gold ring, we contacted them same day and next day, but they didn’t pay attention to us and they didn’t respond us until almost a week later, they said they didn’t find it. 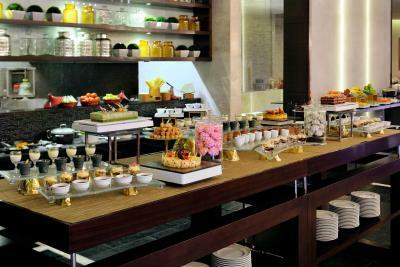 Everything from food to staff to room. Everything was extremely nice.